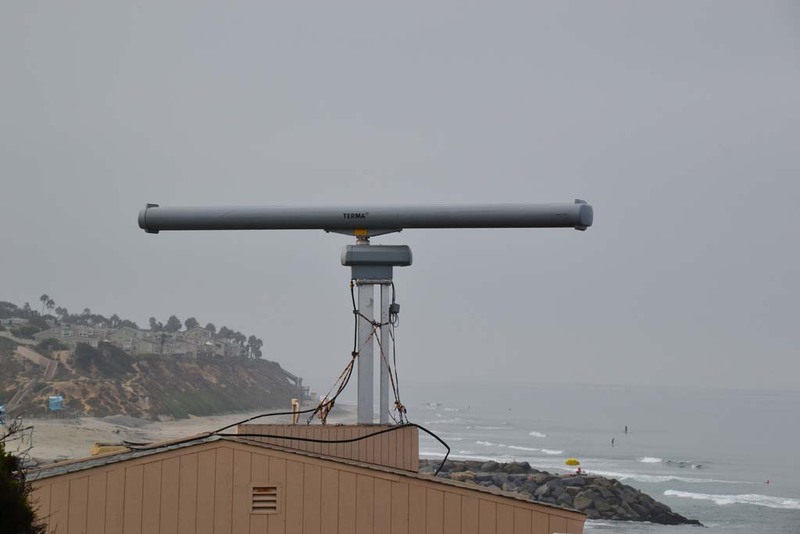 CARLSBAD — The U.S. Customs and Border Protection (CBP) Air and Marine Operations Center (AMOC) installed surveillance radar on Carlsbad’s Ponto Beach late last month as part of a new system designed to thwart rising maritime smuggling. The TERMA radar, which can detect objects within a parameter of over 15 miles, is designed to identify boats of all sizes approaching the coastline so officials can efficiently respond to smuggling attempts and other threats. Maritime smuggling along California’s coast has become an increasing problem since about 2007-08, according to Keley Hill, the director of marine operations for the San Diego Division for CBP’s Office of Air and Marine. With law enforcement agencies better securing the border between Mexico and the United States on land with new technology and combined resources, smugglers have increased their efforts to cross over the border by sea to deliver mostly drugs and people striving to enter the country illegally. As law enforcement agencies have heightened security along the water, smugglers have traveled farther and farther out to sea to avoid detection. “The routes these smugglers are taking are as much as 150 miles off shore and even further,” Hill said. As a result, law enforcement is forced to monitor an area about 80,000 square nautical miles. Hill likened the task to trying to locate something the size of a car in an area larger than North Dakota. Furthermore, smugglers are capable are unloading a boat’s cargo into an awaiting car within minutes, making it difficult for law enforcement to locate the incident and arrive on scene before the smugglers leave, he said. So that’s where detection devices, including the radar on Ponto Beach, come in. The radar device on Carlsbad’s beach is one piece of the U.S. Department of Homeland Security’s Coastal Surveillance System (CSS), which was deployed to AMOC last years for an initial testing phase. Installed in late August, the radar radiates about 200 watts of energy, which then bounces off of vessels in the water or in the air, according to Keith Jones, AMOC Director of Operations. The device then sends information about the objects it has detected back to AMOC, a CBP law enforcement operations and domain awareness center in Riverside. AMOC specialists use the data from the radar to locate the object on a map of the coastline. “All this is going to do is show up as a dot on the screen at the AMOC. (The radar) tells us what (the object) is and it’s moving at this speed and in this direction,” explained Jones. In this way, this one device monitors a large area 24 hours a day without expensive air and water patrols by law enforcement. Hill explained that with the radar detection, law enforcement authorities can locate a vessel and monitor its movement in real time, allowing officers to intersect the vessel before it reaches the shore. Jones declined to specify how far the radar is capable of covering to avoid “tipping our hand” to potential smugglers. He said that the radar device does not monitor activity on land and none of the information collected by the radar is retained by AMOC. The Carlsbad radar device is operating on a 60-day trial, and afterwards AMOC will review whether to continue operating it in that location in the future. The radar was installed on Ponto Beach not because Carlsbad receives a high proportion of maritime smuggling attempts, but because logistically it was the easiest location to place the radar thanks to the help from the State Parks and Recreation Department, according to Jones. Though Hill noted that North County beaches are targeted for smuggling attempts because of their easy access to roadways, particularly in Del Mar and Encinitas. The radar device in Carlsbad is one technique being employed as part of the CSS. Through the CSS, AMOC is able to join information collected by the Ponto Beach radar device with data collected from other equipment and authorities along the coast to survey the area more cohesively, according to Jones. 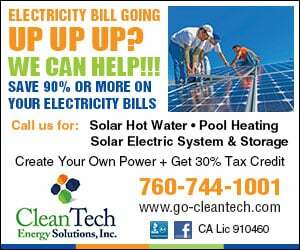 The CSS is being tested all along California as well as in Florida, according to Tina Pendell, AMOC’s Public Information Officer. “The overwhelming majority of small vessels operating in and around the United States coasts and in our ports and inland waterways are engaged in legitimate activities,” said Thomas Tomaiko, Program manager for the Borders and Maritime Division, Science and Technology Directorate of the U.S. Department of Homeland Security, in a statement. “At the end of the day, and I know this sounds cliché, it’s about the security of the homeland,” Jones said.